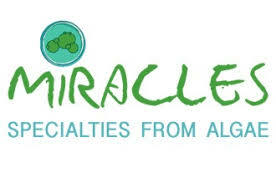 Within the Miracles project several integrated, multi-product value chains were developed to produce specialties from microalgae with applications in food, aquaculture and non-food products. At the start of the value chain different aspects to improve the sustainability and economic viability of the cultivation were investigated. At Thomas more we examined the impact of the reuse of medium on the growth of microalgae. Together with VITO (www.vito.be), we elaborated, tested and validated a cultivation process for Scenedesmus obliquus (lab) and Nannochloropsis gaditana (lab and pilot) with integrated medium recycling. The MIRACLES consortium consisted of 26 partners (Europe and Chile).